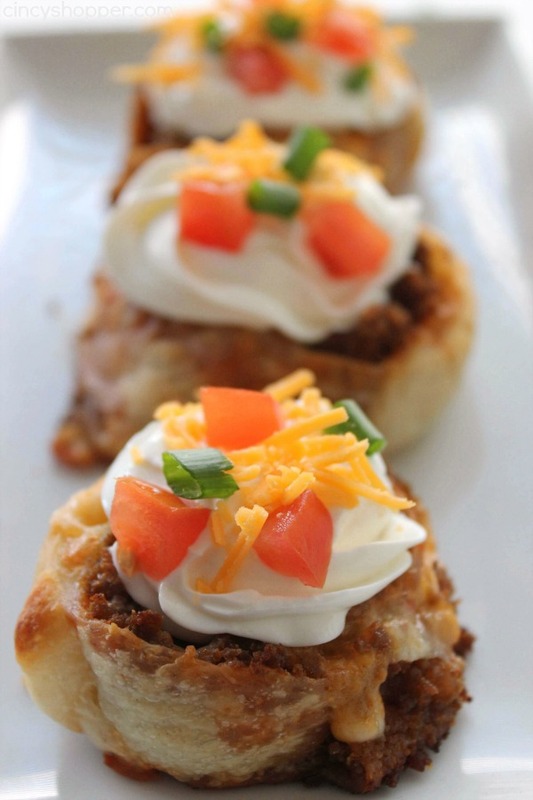 These super fun and easy Taco Pizza Pinwheels make for a great appetizer, dinner, or snack idea. 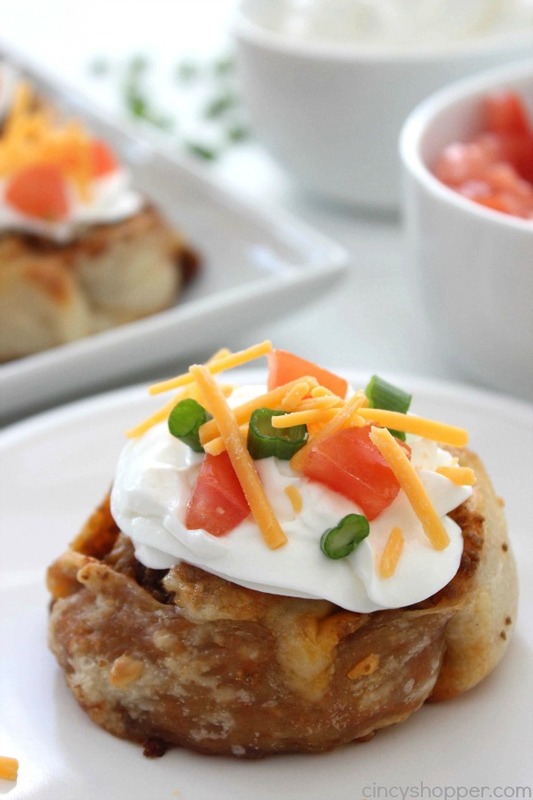 Hand held taco pizza rolls that can be topped with your favorite toppings. Most are fans of tacos. I know my family requests taco night a couple times per week, not just Taco Tuesday, lol. 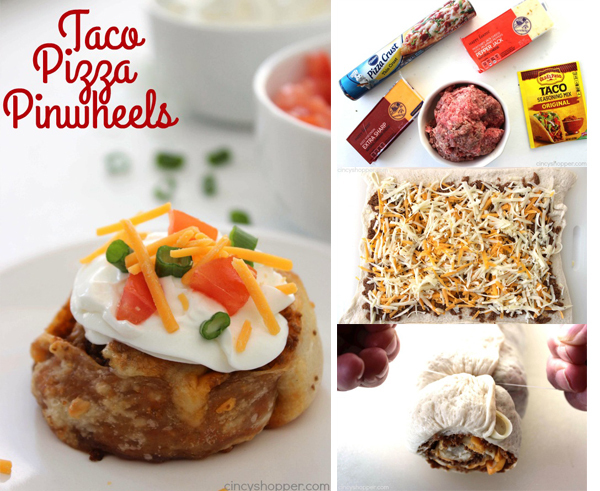 Since we were enjoy a family movie day this past weekend, I decided to feed their taco cravings over the weekend with these Taco Pizza Pinwheels. 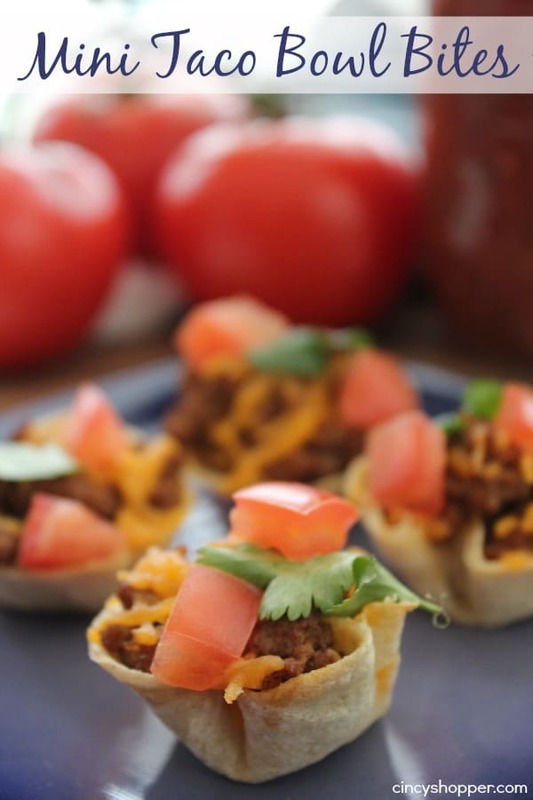 When I am looking for a taco type appetizer for parties, I will usually make our Mini Taco Bowl Bites. 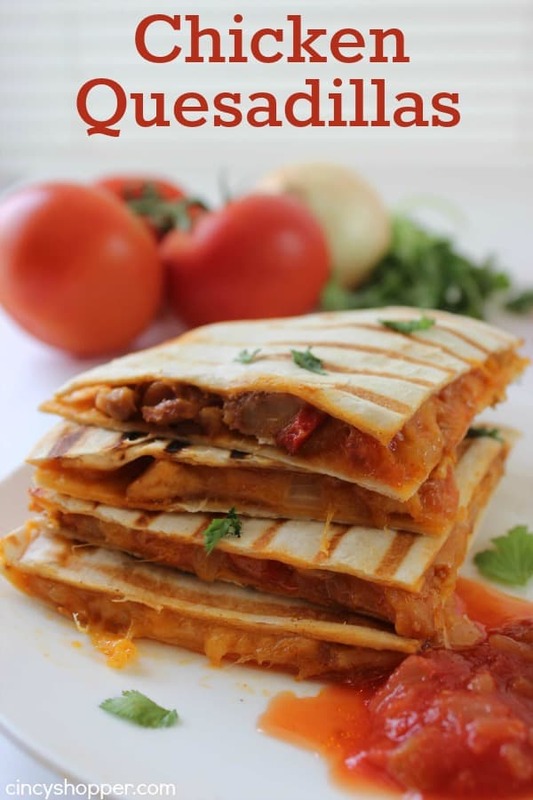 I have made them for years and they are always a hit. 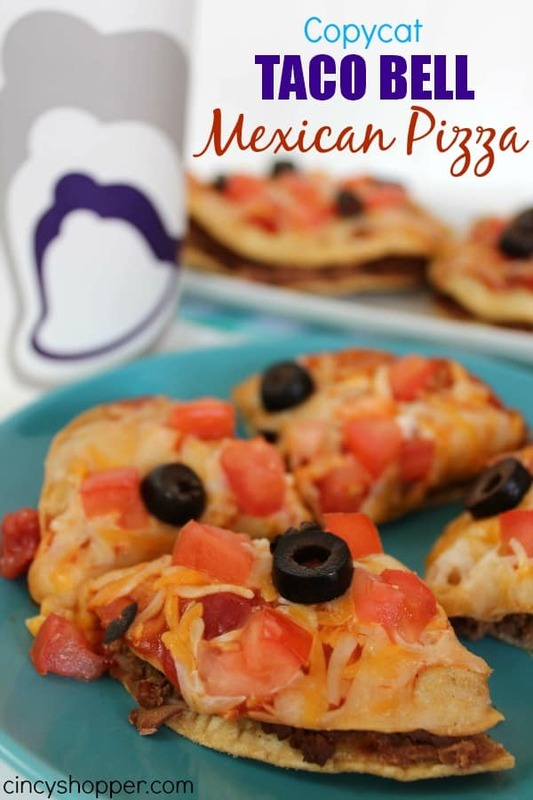 While surfing around Pinterest a few weeks back, I spotted The Girl Who Ate Everything’s Taco Pizza Bites. 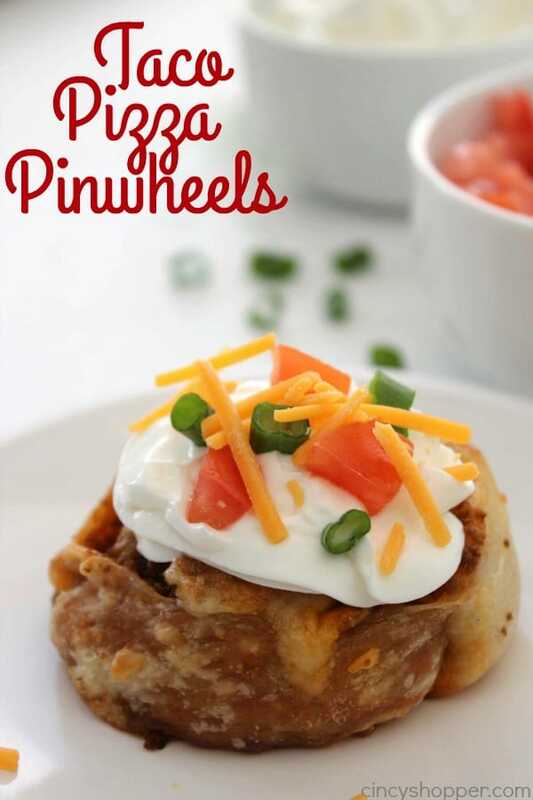 I immediately thought about making them for the kiddos. They were sure to be a hit with these taco eating kids. 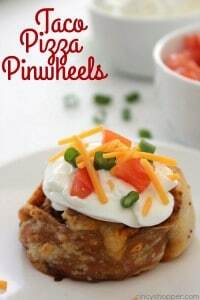 I think these little pinwheels would be great for taco night, game night, or even a party that you need a appetizer for. 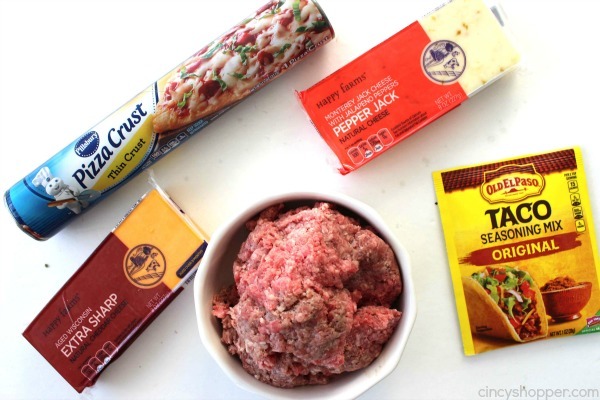 I used the same method for my ground beef as I did with our CopyCat Taco Bell Mexican Pizza recipe. I thought making the mixture more spreadable would work perfect and I was right. 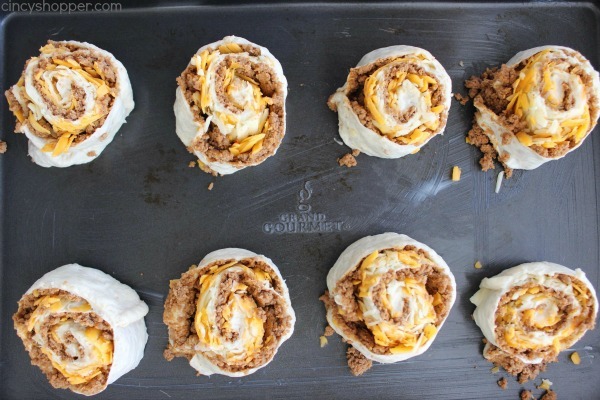 These Taco Pizza Pinwheels as I call them are so super simple. 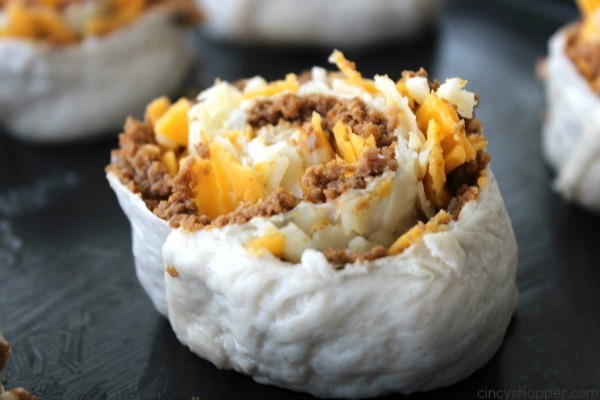 You will need ground beef, a taco season packet or Homemade Taco Seasoning, pizza dough (I used store bought), cheese, and your favorite taco toppings. 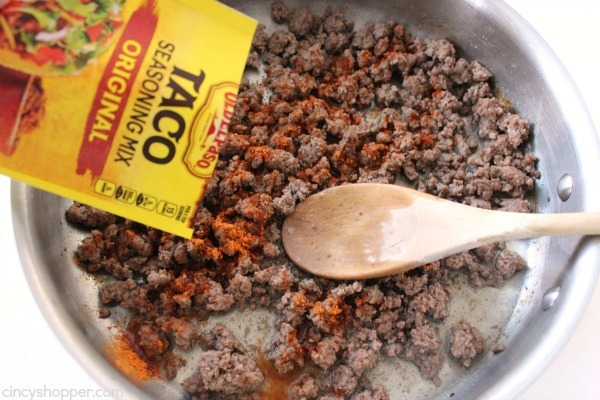 Add taco seasoning and water. 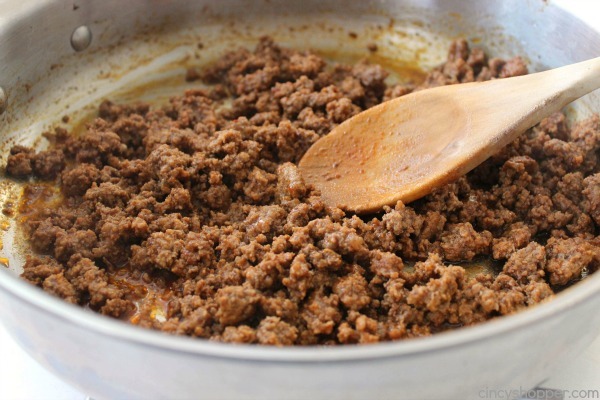 Mix well and cook for 5 minutes. Remove from heat. 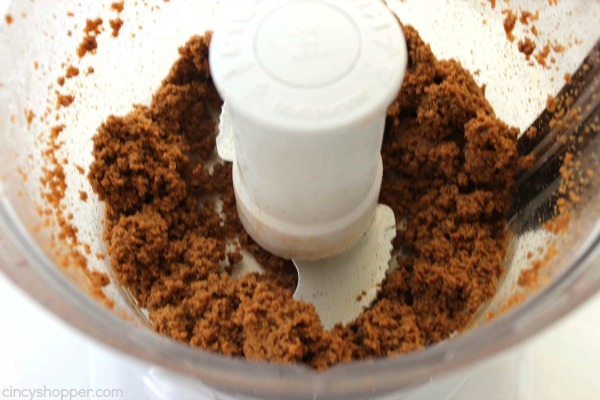 Transfer taco meat to food processor and pulse for up to 1 minute to reduce coarseness. 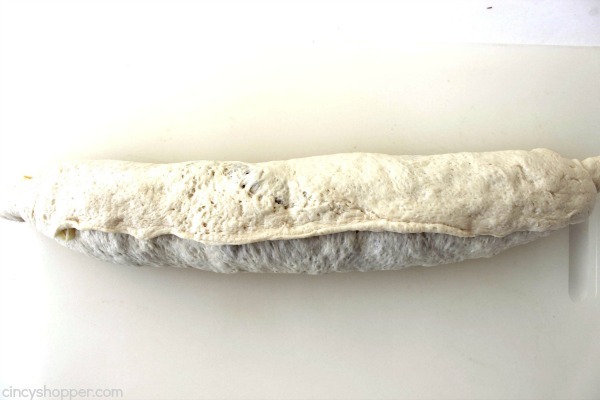 Unroll pizza dough and square up and stretch into a rectangle. 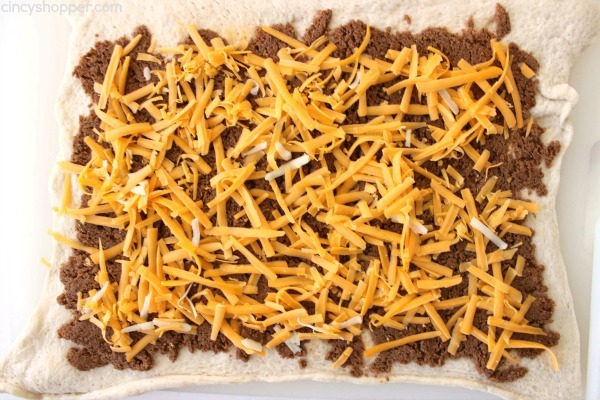 Spread the taco meat evenly on top of the pizza dough. 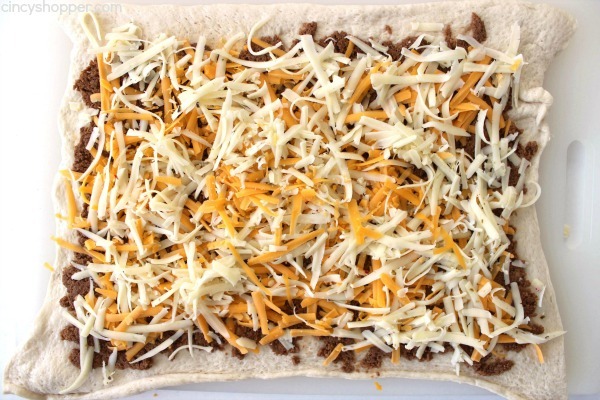 Sprinkle each of the cheeses evenly over the meat. 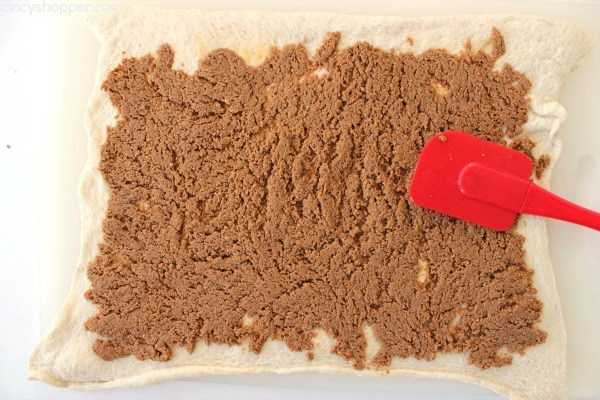 Cut the foll into 1′ slices using dental floss or a knife. 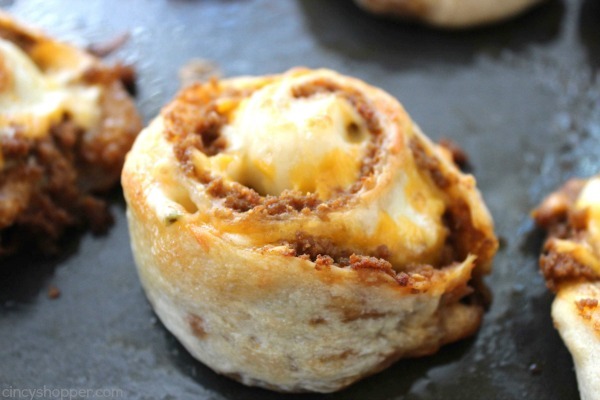 Place rolls on prepared sheet and bake for 10-12 minutes or until golden brown. 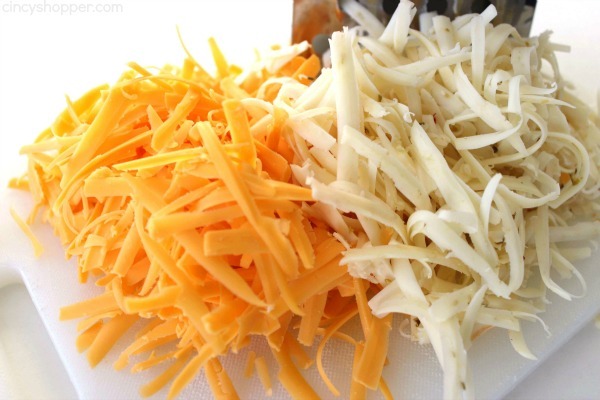 Garnish with additional toppings and serve. Adapted from: The Girl Who Ate Everything! 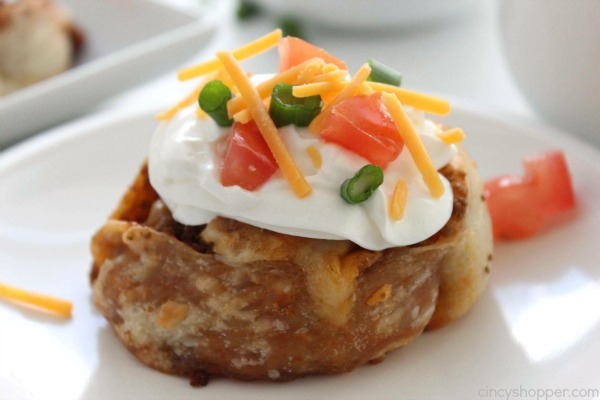 Do you have a favorite recipe that puts a spin on a traditional taco? 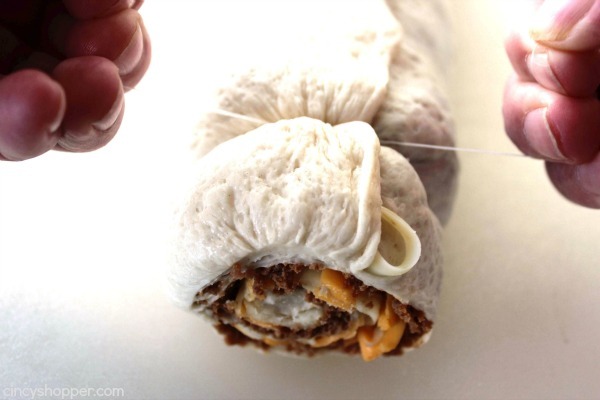 Cut the foll into 1' slices using dental floss or a knife. Garnish with additional topings and serve. 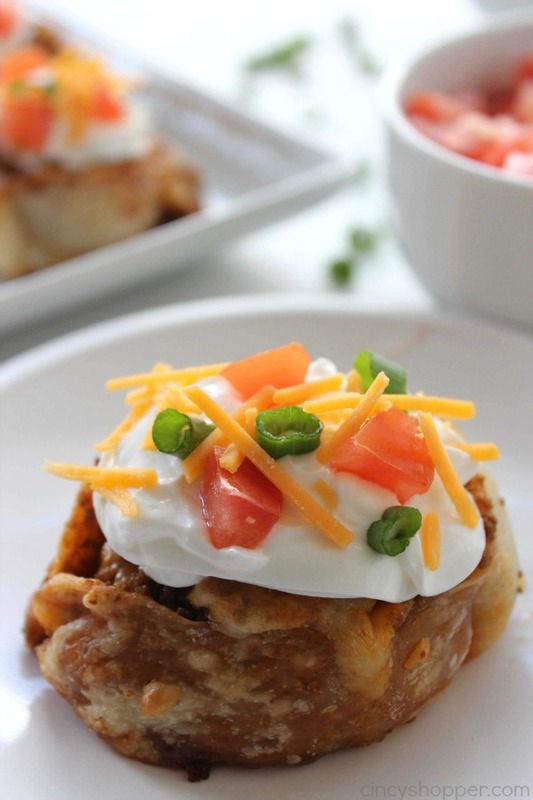 Looking for other fun taco ideas? 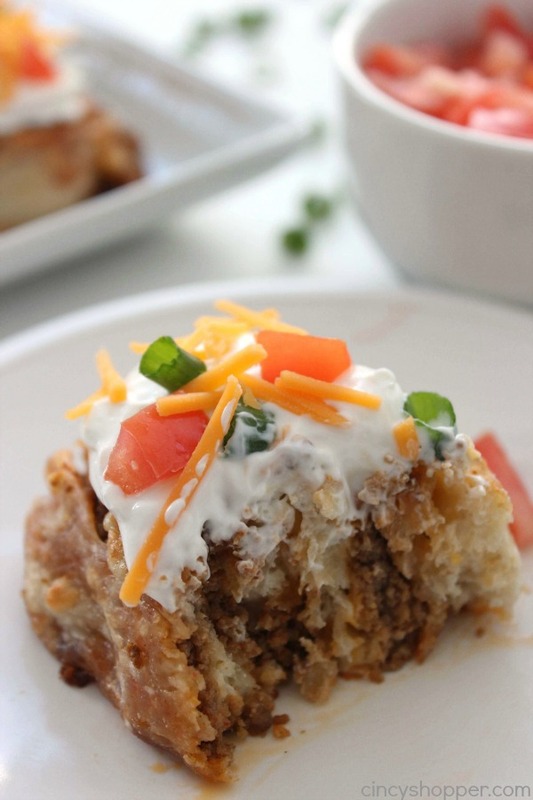 Be sure to see some of these recipes that I have shared..